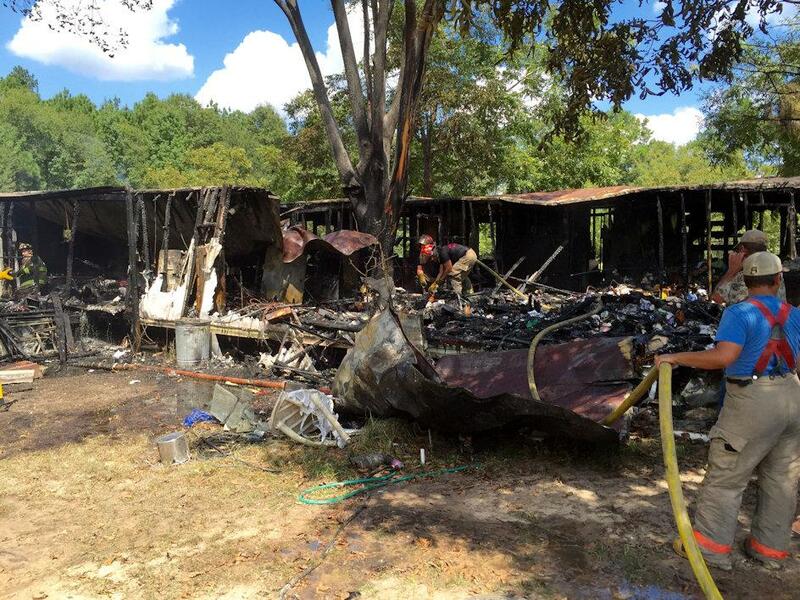 Storage Trailers Burn in Leggett, LEGGETT, September 4, 2016 - Shortly after 1 pm on September 3, 2016, Livingston, Corrigan and Onalaska Volunteer Fire Departments were dispatched to 175 Pecan Farm Drive in Leggett where two mobile homes that were being used for storage had caught fire. Additionally a deputy from the Polk County Sheriff's Officer was dispatched. Both storage trailers were fully involved and were threatening a third trailer Firemen were able to save the third trailer, but the other two burned to the ground. The trailers were not insured and were reportedly owned by the Bennett Family. The cause of the fire remains under investigation. Firemen cleared the scene by 3:10 pm. Special thank you: Ken with Ken's Towing and Ben Ogletree, III, for the pictures. THE ORIGINAL COOPER: This is the original Cooper the Fire Dog. This Cooper was around before the other Cooper. Both Fire Dogs are equally remarkable.